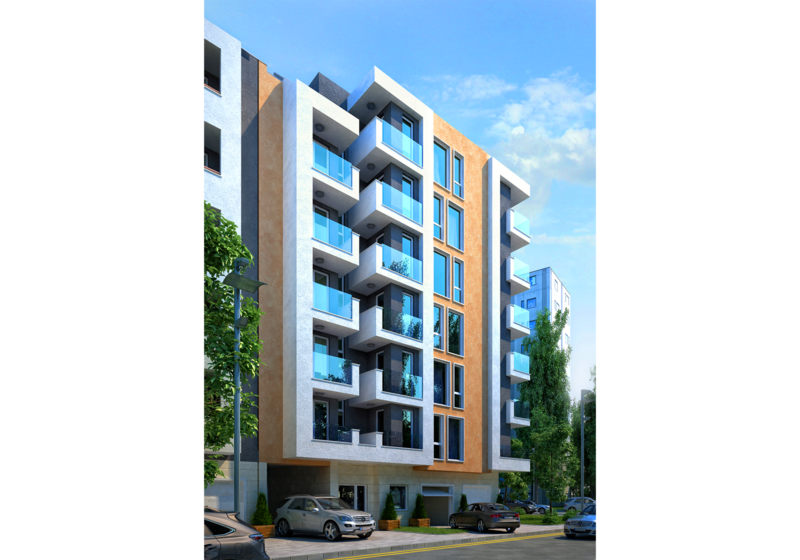 Project of Residential building with garages and underground garages, bul. Slivnitsa, Sofia. The project on the street. Orion is a multifamily residential building. Function and appearance of the building is a reflection of the surrounding environment, a balance between the comfort of home and the dynamics of urban life. The building is modern with both its architecture and with modern materials and technologies embedded in its implementation. In terms of functionality the building is intended for residential buildings with garages and underground parking levels were utilized as follows: In the basement, elevation ˗ 2.80, is a common parking lot with five parking spaces at all is provided adjacent area for maneuvering and elevator platform also so there are 17 basements serving the needs of the apartments. Vertical Communications elevator and staircase and platform service levels from ± 0.00 to ˗ 2.80. 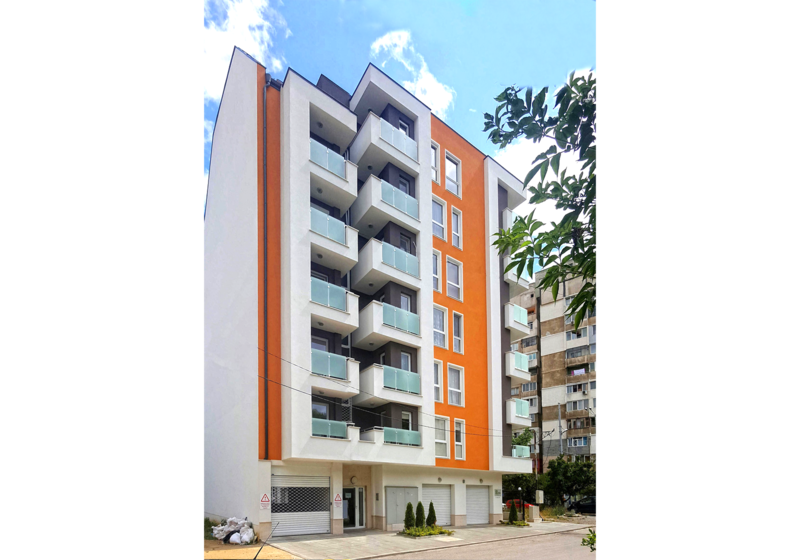 On the ground floor or elevation ± 0.00, are serving approach aboveground and underground parking, entrance to the living area, space for security, six double garage and a staircase with an elevator. From the first to the sixth floor are two-bedroom, one bedroom apartment and a workshops and a staircase with an elevator.